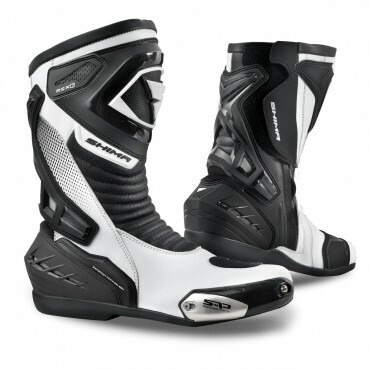 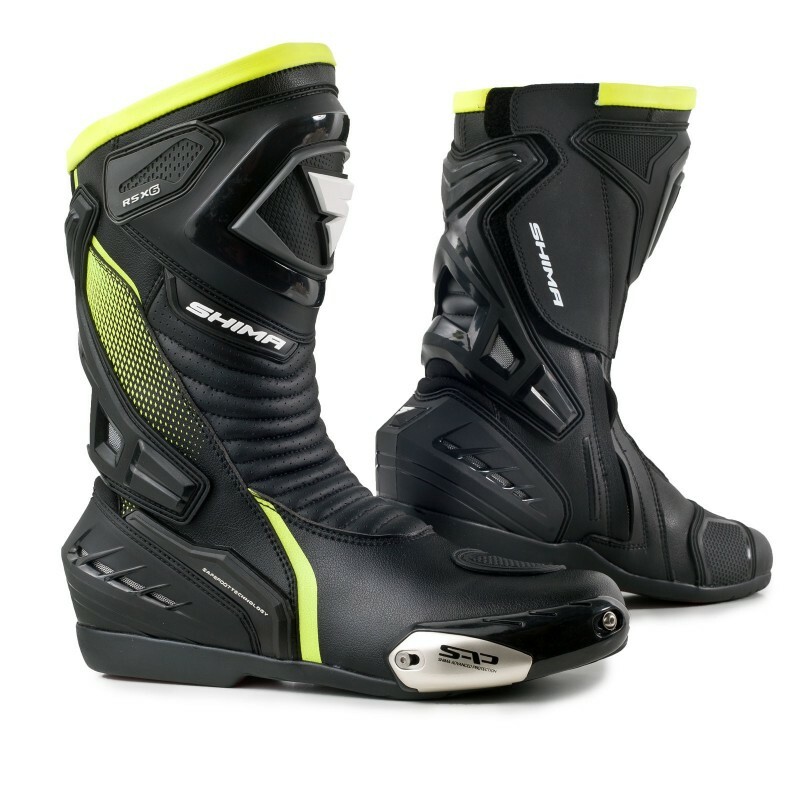 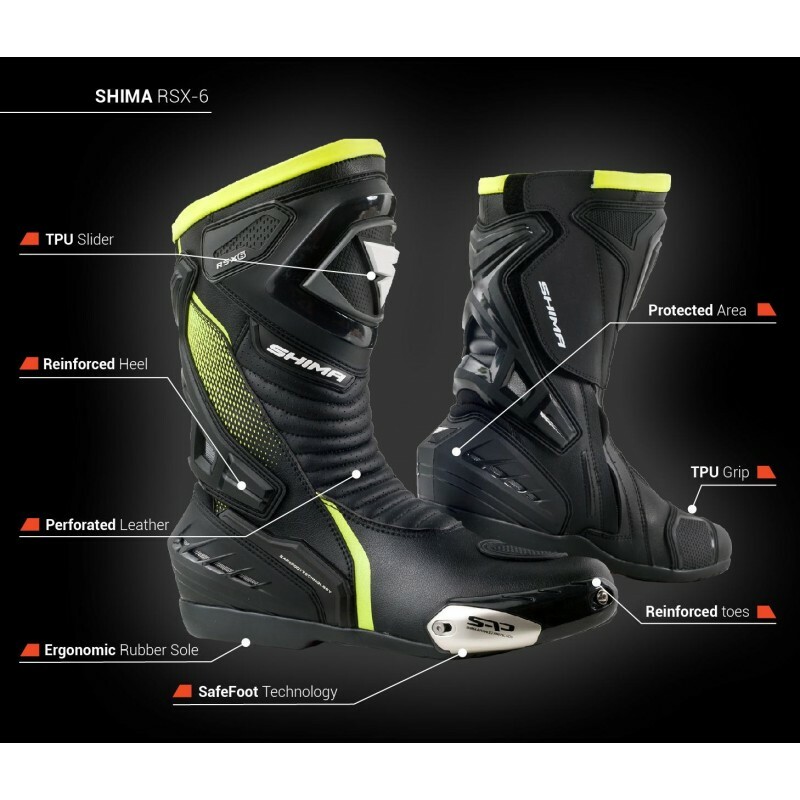 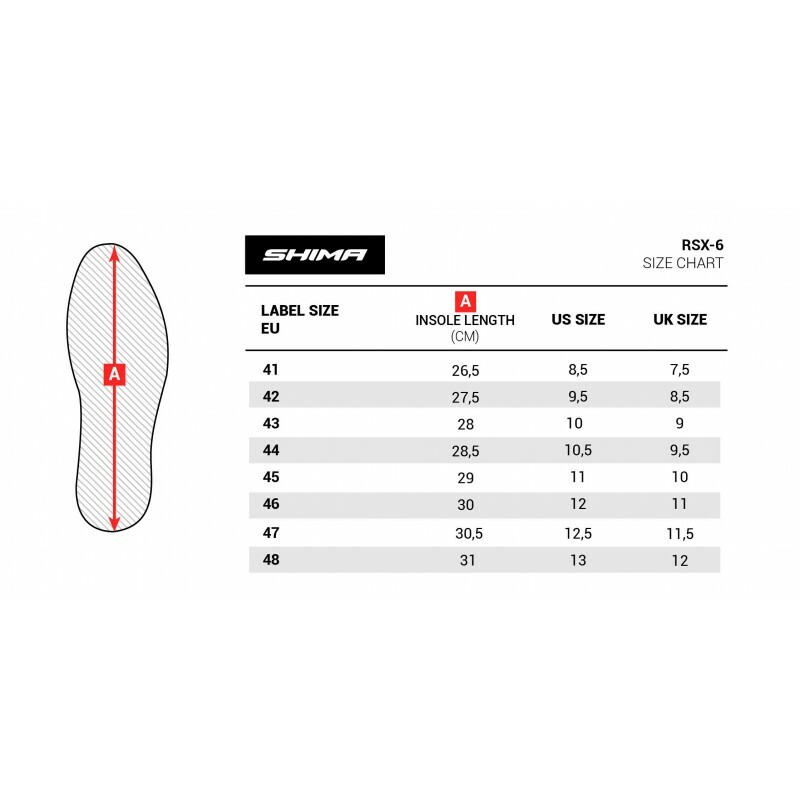 The RSX-6 is a sports ridring model of boots with an ergonomical design that fits the position of the biker. 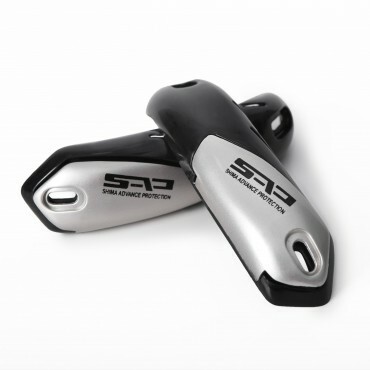 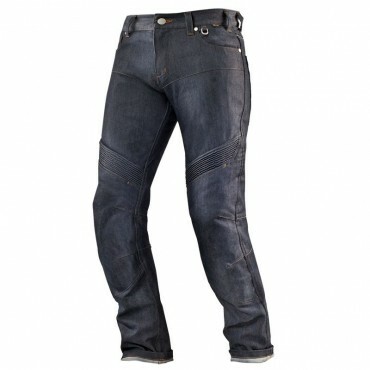 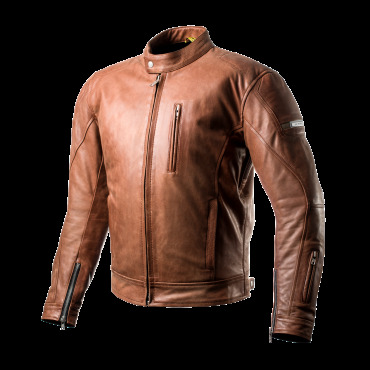 Made of certified microfibre leather with high protection standards (abrasion class). 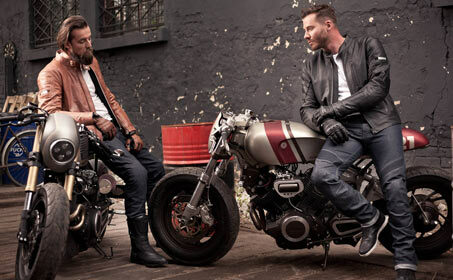 Special angled construction for motorcycle position. 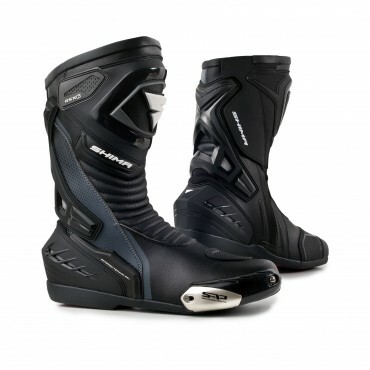 The RSX-6 is a sports ridring model of boots with an ergonomical design that fits the position of the biker. 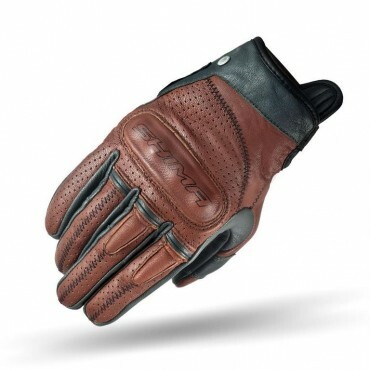 Made of certified microfibre leather with high protection standards (abrasion class). 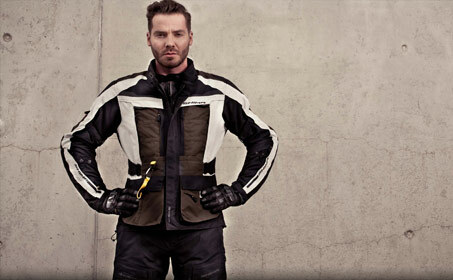 Special angled construction for motorcycle position.